Last one to claim to have it was Hardcase. I guess it's in limbo. or Purgatory. Good luck, I asked in June and youre the first I have heard from anyone...........guess its gone. I did see James Coburn as Pat Garrett and Kris Kristoferson as Billy the Kid last night, good movie! hi. i'm new at this part. but would like the dvd next, if it is closed captioned. I'm hard of hearing. If no c.c , thanks anyways. Even though this was posted in feb. 2012. i would like to see the DVD tom horn also. Doesn't he kill a guy in a knife fight???? I remember a great movie if available please let me know. I borrowed it from my local library. You should try that option if like me, you have no patience to wait in line. If it is still alive and well -would like to be placed on the list. For Tom Horn. chasing after Albert Johnson in the NWT and Yukon. 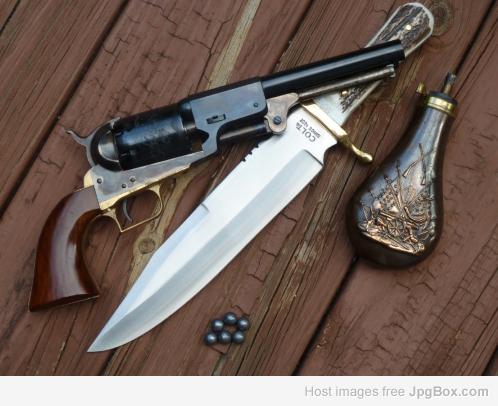 1873 Winchesters, Marlin and 30WCF 1899 Savage. But...I got 8 pieces of mail 2 days ago that were postmarked in August.....wonder if my lazy carrier has Tom Horn, too? I just check it out at the library when I feel the need to rewatch. Three days for free and can renew by phone or online twice more if someone has not put a hold on it. What criteria do we use to choose which DVD to put in circulation? for instance:Must it be historically acurate? Have a certain number of L.A.'s in it? What about ;Hombre w/P. Newman, or the Wild Bunch w/everyone, or - -name one. Sounds fair. I'll check my stash, there's got to be some dupes in there. But it may be some time before I return. I'm really stubb=mbling in the dark here, trying to understand how to navigate the site. It,s like a castle with a thousand rooms, 7 doors in each, none reaching the outside. ??->? Sorry, I just caught up to you. - - -But, I don't know what your question involves. Time meters? Confirmation of? Why? I'm sorry for being ignorant, and don't mean to be troublesome, I just wanted to put some smiles in our group. Pepe Ray, MichaelEscon was a spambot, AmBraCol deleted him, I just deleted his posts. O.M.Gee whiz. I guess they recognize a soft touch when they see one. - -T hanks for explaining it to me. GK is not the Spambot Zapper extraordinaire for nothing!